Strict environmental concerns in more and more countries restrict or prohibit the use of conventional high-pressure paint guns. As a result, HVLP or RP spray guns are the technology of the future. Both technologies offer significant advantages. 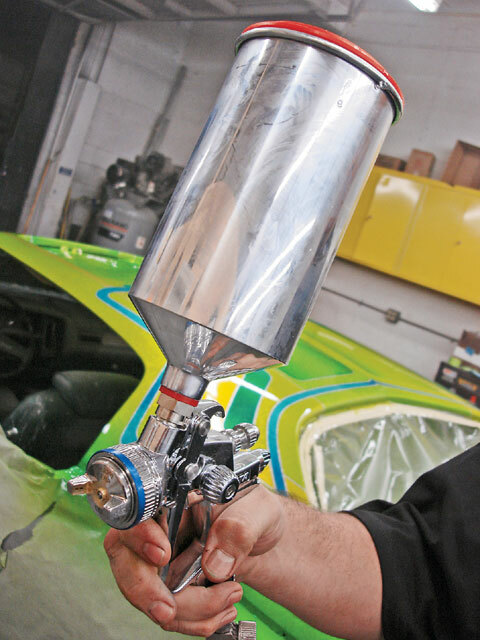 SATA’s HVLP (high-volume, low-pressure) spray guns are distinguished by high-transfer efficiency that saves large quantities of expensive paint material. SATA’s RP (reduced pressure) spray guns feature optimized high pressure. Their transfer efficiency is only slightly lower than HVLP spray guns and they provide an easy change from conventional high-pressure spray guns to more efficient spray guns. They conform to current safety regulations as well as convey the “high-pressure feeling” to the painter. 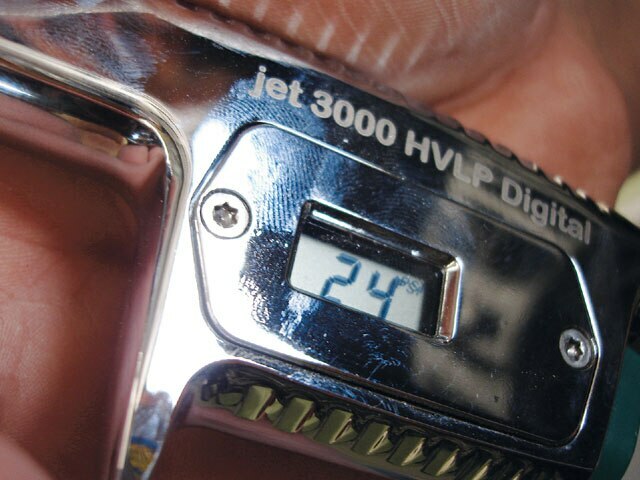 We tried out the SATA HVLP Jetstream and MiniJet during a recent tech with paint pro Danny of D&D Designs. Danny had nothing but compliments for the German-made guns. “The fan coverage was excellent, especially for the flake after using a 2.5 tip,” he told us. 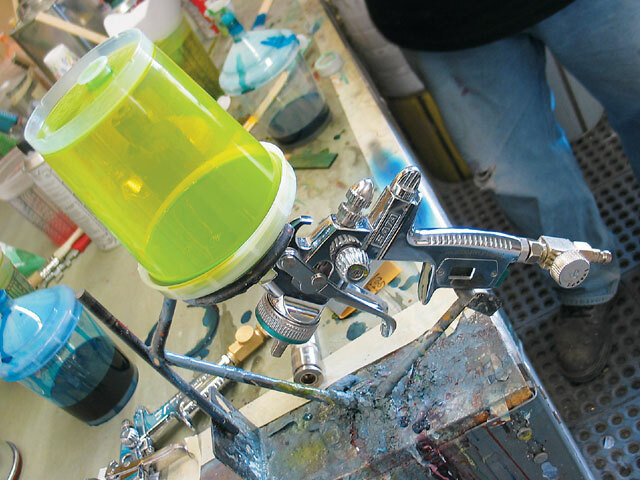 “The MiniJet, with the quick release cups, was good for small panels and pattern work.” The guns’ chrome-plated bodies makes them easy to clean, and the chrome is wear resistant. SATA HVLP spray guns are easily recognizable by the green air cap ring and the RP spray guns by the blue ring. It doesn’t matter which technology you choose. With SATA, you can be assured that you have a first-class tool in your hand. They also guarantee their guns with a three-year warranty, so grab a SATA spray gun and start spraying today.